Jupiter Deep has a new home! Work together to evacuate the helpless colonists from the parasitic space horrors of Jupiter! Things have gone terribly wrong on the deep-space mining colony floating about Jupiter. A giant entity has awakened, transforming the helpless human colonists to alien creeps and dismantling the colony piece by piece. 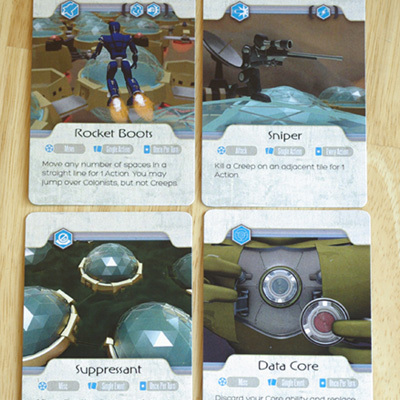 As the elite team of robots who have been sent to rescue them, you must combine your abilities to zoom around the colony, blast through the invaders and guide the panicked colonists to the evacuation pod. 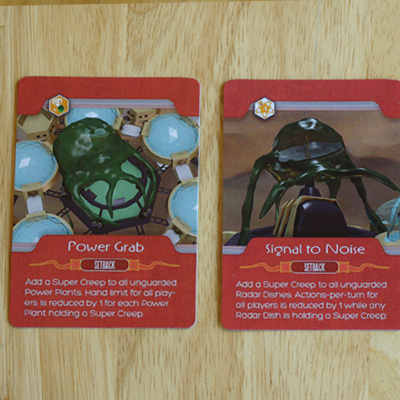 Can you save them before the colony collapses? 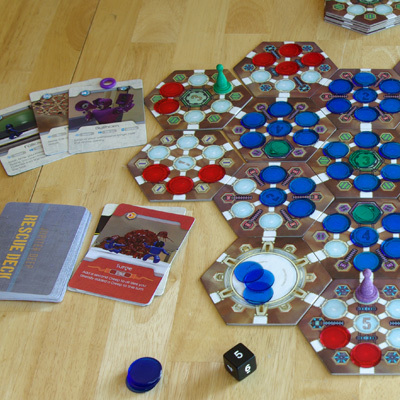 Jupiter Deep features a randomized board setup and ability distribution every time you play, making no two games quite the same. 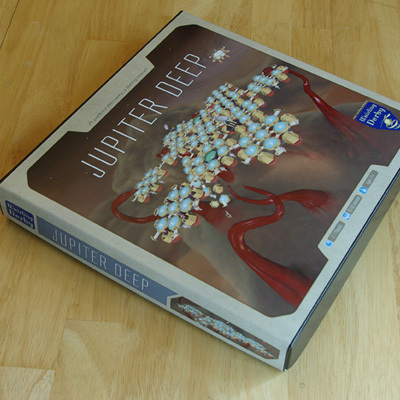 If you enjoy the challenge of cooperative play, you'll find Jupiter Deep a compelling and unique adventure! 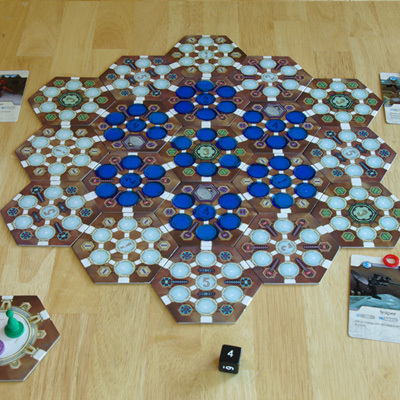 ★ Winner of The Game Crafter's Co-Op Design Challenge! 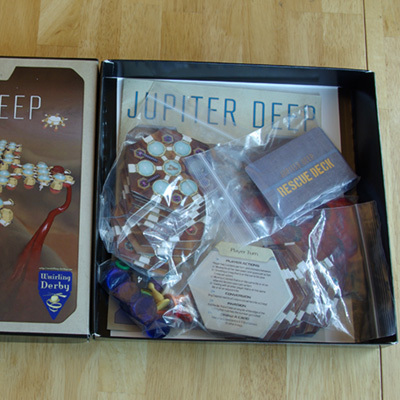 Bringing to the table a professional look, addictive gameplay, refined ruleset, brilliant cooperative design, and infinite replayability, Jupiter Deep is a game that deserves to go far. When you lose, it's kind of like "Dang! Let's play it again! I think we can win! ", and when you win, it's a very satisfying win.